The Second Global Conference on Creating Value invites business leaders and leading academics from around the world to exchange views and to share and learn from each other regarding how value can be created for the future of business and society. The conference takes place at the Lincoln Center Campus, Fordham University in New York City, USA, on 14-15 May 2019. The plenary sessions, invited speakers and paper presentations will provide an opportunity for a meaningful discussion and conversation between academics and practitioners about the meaning of value and value creation opportunities not only for business and companies but also for individuals and society, at large. Particular focus will be on social value creation through social innovation and social entrepreneurship that aim to improve the well-being of the individuals and overall society. Interested participants are invited to submit an extended abstract about their research and ideas not exceeding 750 words (excluding references, tables and figures). The abstract should outline the importance and relevance of the topic, its potential contributions, research question(s), conceptual framework, and methodology and findings if applicable, discussion, and conclusion. Submissions using both quantitative and qualitative methodologies and different approaches including practitioner cases are encouraged. – Each abstract should have four to five keywords. All abstracts must be in English, double-spaced Microsoft Word documents using Times New Roman 12-point font. At least one author from each paper must register and be present at the conference to present their paper. 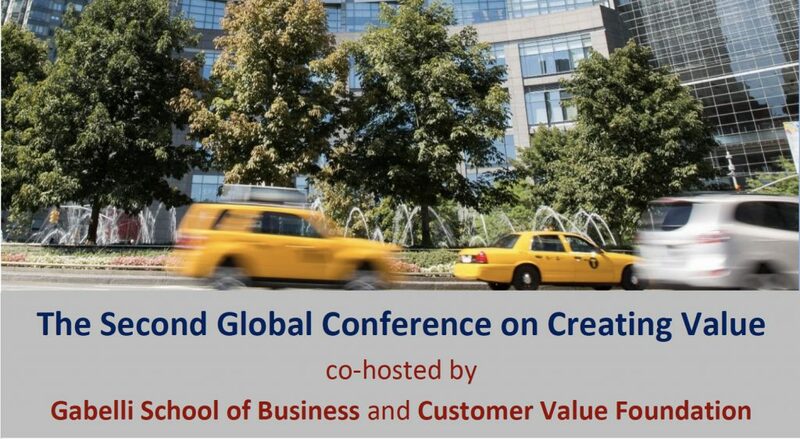 For inquiries email Dr. Sertan Kabadayi at Kabadayi@fordham.edu and register at www.creatingvalue.co.